If you are tired of the high labor costs associated with manually loading springs into grinder carrier plates, then automated spring grinding might be the solution you are looking for. Springs are automatically loaded into grinder carrier plates by interfacing the spring coiler and grinding machine. 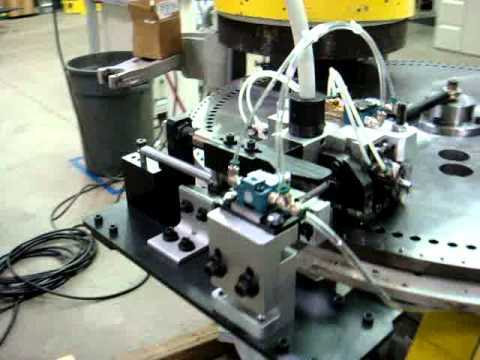 In most cases, springs are delivered from the coiler using a pneumatic blow tube; however, some applications may require a pneumatic pick and place or other mechanism. Please give us a call to discuss your application.